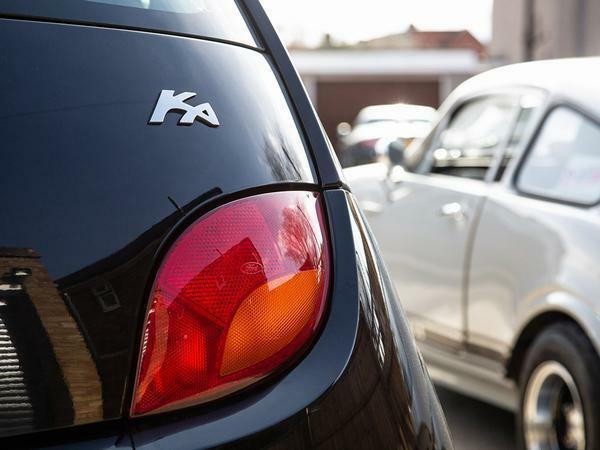 Made in the final year, with very low mileage and a full service history - what better KA to turn into a racer? 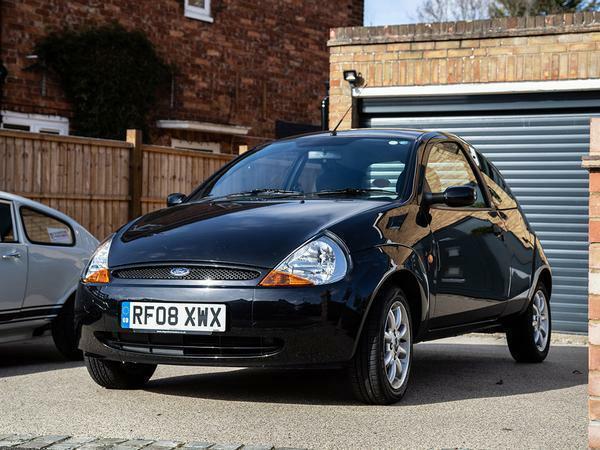 It turns out that buying an old Ford KA isn't quite as easy as you'd think. "What's the rush? ", we thought in January. There's hundreds of them out there. Little did we know, a handful of teams had already bought their car and finished the build. Plus had another three for spares. So just what did we need to buy? 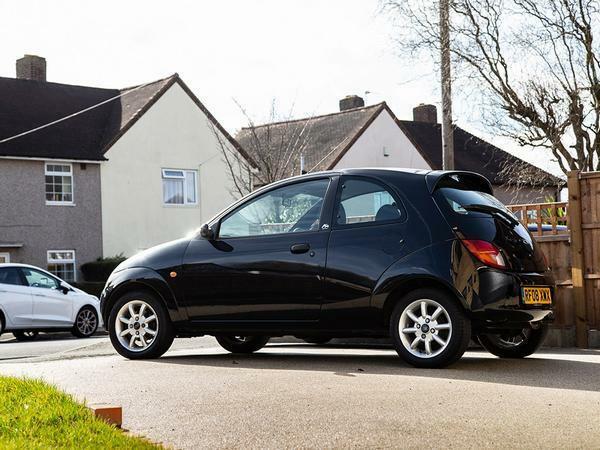 According to the series regulations, you need a Ford KA Mk1 1300cc, produced between 2002 and 2008. The dinky Duratec came in 60ps and 70ps variants, so obviously we'd be hunting for the latter. 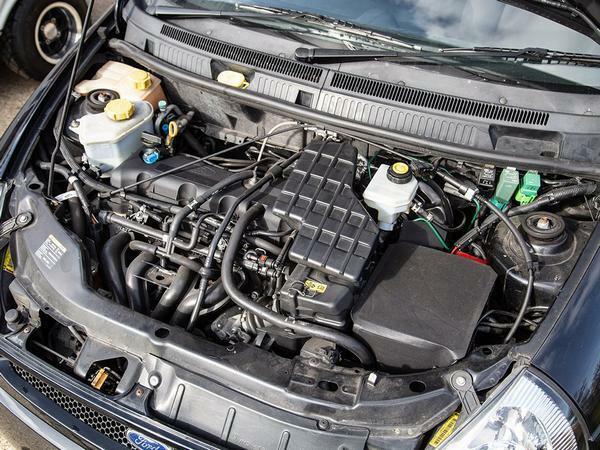 Rumour has it that buying a car with air-conditioning and removing it may release a teeny bit more power over a car without it, so that was on the checklist too. Logic would lead you to shop for a car that was made towards the end of the Mk1s life, as it's more likely any manufacturing and reliability issues would have been sorted by then. Plus it will have had less time to rust. And boy, do they like to rust. So we find ourselves commencing our search early in February. We were after something low mileage, preferably under 40k, in the hope that it may be a bit fresher and might just see us through the series. 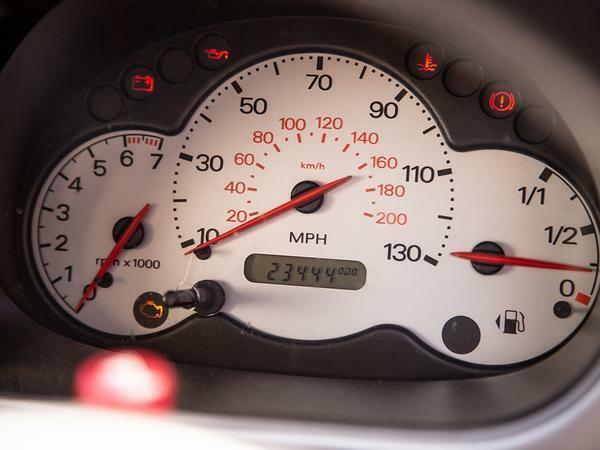 Several cars matched our requirements but upon contacting the sellers were either sold or, on inspection of the MOT history, a victim of the dreaded tin worm. A couple of weeks passed of occasional browsing, more sold cars and more rust buckets, before the panic started to settle in. It was mid-February that I set up every single saved search going in the hope that we could pounce immediately. Thing is, with 39 other teams taking part in EnduroKA, there were quite a few others doing the same. Who'd have thought we would suddenly have a UK-wide shortage of Ford's revolutionary shopping trolley? Finally, luck struck. Despite the advert being sparsely worded with just a couple of photos, I instantly knew it was the car for us. It was the only car we viewed in the flesh, but what a belter it is. First to view will buy and all that. One former lady owner from new, never raced or rallied. RF08 XWX must be one of the last few off the production line, with the all-important 70ps engine and air-conditioning that we'll be stripping out. 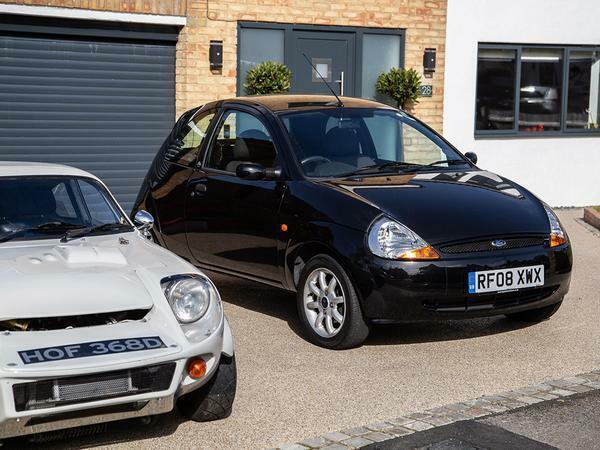 It has been lavished with full Ford main dealer service history, covered just 23,000 miles and stored in a garage its entire life. Generally, KAs seem to be pretty bulletproof other than an early departure through the clouds to the rusty gates above. The worst place for corrosion on a Mk1 KA is around the rear suspension mounts, which are kind of integral for what we'll be putting our little car through. It also appears around the fuel cap, the bottom of the doors and a seam in the boot, but these can be rectified easily enough. We came across cars with just 30,000-40,000 miles that were completely rotten already and heading for the scrapheap. Luckily, our garage queen has none of this. Our previous owner was retiring from driving, so what better way to give her pride and joy a fitting send off by thrashing it around MSV's finest alongside some of its siblings? We paid the princely sum of £1,200 for our pristine model. Potentially the most anyone has spent that's competing - the lowest I've heard so far is £165. 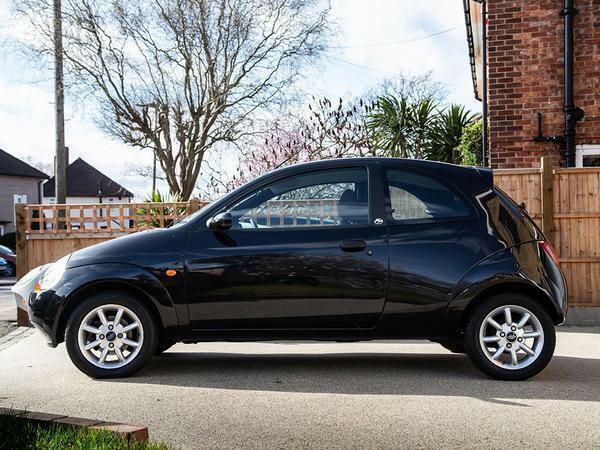 It may be 11 years old, but with such low mileage it genuinely feels like it's fresh out of the factory. 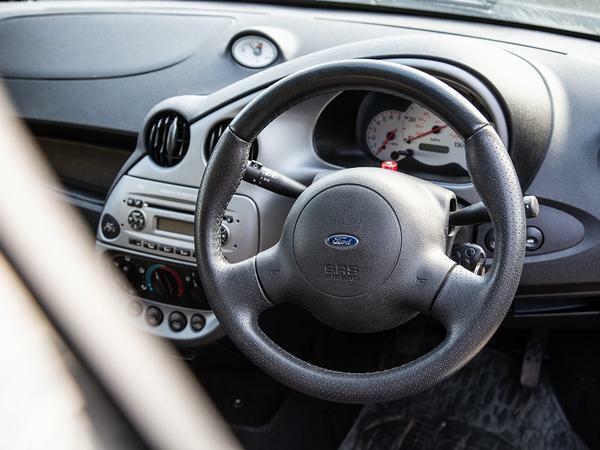 The steering and brakes are woefully vague - as you'd expect - but with a mint interior and tight gear shift, we've might have just hit the jackpot. So what are the vital stats? We want to get it on a dyno at some point to see how many of our 70 horses have fled the herd but we need to get our priorities in order first. 0-60 takes a steady 14.1 seconds, but with a tail wind and heading down Paddock Hill, we might be able to shave a second off that. We might even break into three figures on the speedo down Starkey's Straight at Donington with a slipstream. Kerb weight is just 905kg, and it feels it too. Our first race is now in three weeks. Luckily we have started our build, but barely. The next couple of weeks are going to be pretty stressful, but we're quietly confident that we'll get there in time and potentially even be able to squeeze a couple of track days in beforehand too. That's if our roll cage ever makes it here from Calais. The steering and brakes are woefully vague? No, that isn't: "as you'd expect as you'd expect" at all, I've only driven a couple of KA's but the steering felt pin-sharp (to the point of nervousness in one case) and don't remember the brakes so they must have been fine. Didn't this basic architecture underpin the Puma? I'd have to agree. Whilst it isn't an Elise, it is a very good steer. Don’t we have a dedicated forum for this? Surely EnduroKA or at least Car Buying?